The UTANO Mobile Phone User Manual PDF above the page. The AGM ROCK V5 model made a splash in the market for secure phones, becoming incredibly popular among buyers. And soon, the company AGM provided a prototype phone to OEM customers and wholesalers. In other words, the manufacturer, when ordering a certain quantity of goods, changed the design and name of the phone. This is what happened with the model Utano Barrier T180, which was created specifically for the German market. According to the OEM standard, the customer has the right to change the design of the protected phone, but he did not. All changes concern only the name, therefore, on the phone and packing instead of "AMG" the buyer will see the inscription "Utano". Monoblock case in black with bright orange inserts and rubber pads remained unchanged. On the side panels of the Utano Barrier T180, as in the ROCK V5, there are buttons for turning on the camera / flashlight, sound adjustment and a connector for microUSB. At the top of the case is the phone's power button and headset jack (3.5 mm). The processor with a frequency of 800 MHz remained unchanged: everything also responds quickly to commands and prevents the phone from hanging. By the way, the same processor can boast of a smartphone CAT B10 (Manuals PDF page) (another OEM copy of AGM Rock V5). The amount of permanent memory in the phone is 512 MB. However, the bundle comes with a 4 GB memory card, which, if desired, can be replaced with a larger one up to 32 GB. 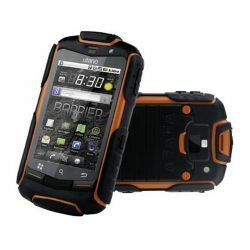 Just like the ROCK V5 model, the Utano Barrier T180 supports two SIM cards and simultaneously works with 3G and GSM standards. 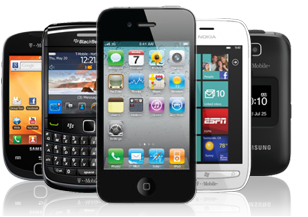 In this case, you can use both GSM and WCDMA (3G), and two GSM SIM cards. Both cards stand-alone work in standby mode and are simultaneously available for receiving and making calls. However, when making a call, the second, inactive card is automatically turned off and also automatically turns on immediately after the call ends. You can always stay in touch with both SIM cards by setting up a "forwarding" service from the mobile operator. Powerful battery for 2000 mAh, also remained unchanged. It allows the phone to work in talk mode for 8-10 hours, and in the standby mode - 6-10 days. Attention: in order to ensure proper operation of the battery, it is necessary to perform a full cycle of discharging and charging three times. The touch screen smartphone has a diagonal of 3.2 inches with a resolution of 480x800 pixels. The disadvantage of this screen is that it is capacitive, which means that if it gets wet, the sensor will react poorly to touch.